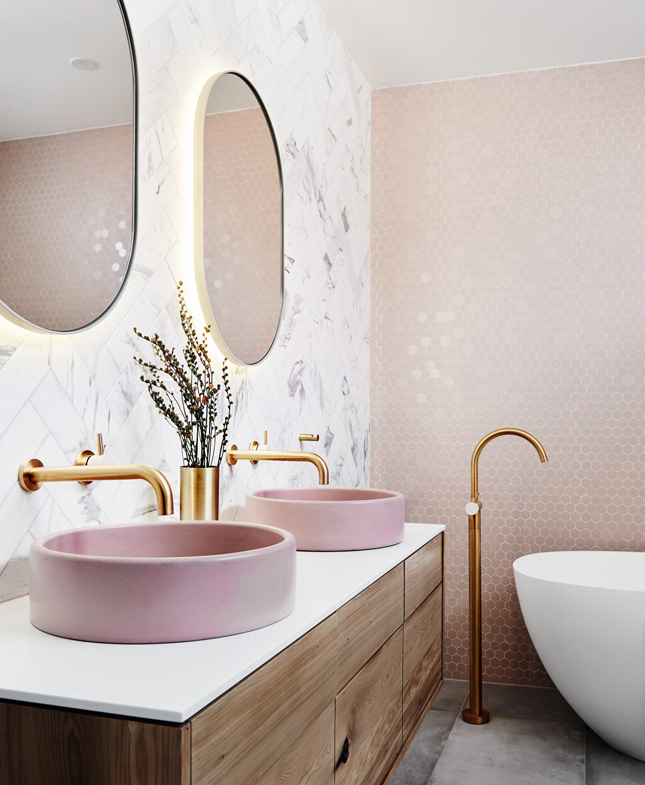 Technology in the bathroom may seem counter-intuitive: apart from the obvious issue that leads to a smartphone sitting in a bowl of rice in the hot press, the bathroom is, for many, a quiet retreat, a space to switch off from the demands of work and family. 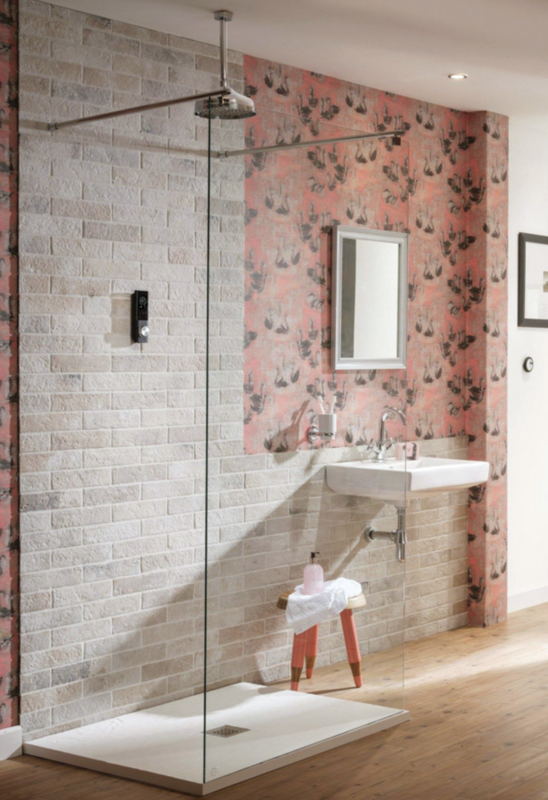 But switching to smart bathrooms isn't about getting email notifications at inopportune moments; WiFi and cloud technology are creating clever spaces that move with your mood while also being energy and cost-efficient. Lighting the way, the Philips Hue range of white and coloured bulbs can be programmed via app to increase or decrease gradually to mimic natural daylight, or choose from 16 million colour combinations for a bathing experience set to rival the Northern Lights.  Smart heating systems such as Hub Controller, Climote and Hive are a godsend for savvy savers, allowing you to control water and room temperature from your smart device. The Nest Learning Thermostat is even self-programming: within a week it will learn what temperature you like in your bathroom and adjust accordingly, ensuring your toilet is toasty when you wake up on winter mornings. Smart technology has an ecological leaning, too: on the surface, it may seem to be all about comfort and convenience but it also has a glad eye on the environment, factoring in water and energy consumption, a key consideration for any future-forward purchase. It was only a matter of time before our AI assistants were joining us in our ablutions – because why would you hit the power button when you can ask Alexa to create a bespoke showering solution to suit your mood. The U by Moen smart shower (Amazon.com) can be operated via the panel, smartphone app, or voice command courtesy of Amazon's Alexa. Instructions can also be given in the shower and the WiFi-connected digital controller features a five-inch LCD screen that gives feedback via on-screen messaging, and notifications and changes in temperature are heralded with a coloured light – moving from light blue, through purple to red indicating the system is warming up or cooling down. It is easy to scoff at the notion of a shower toilet – reader, I did – until you learn about odour extractors and self-closing lids and realise that this is what smart technology should be about. 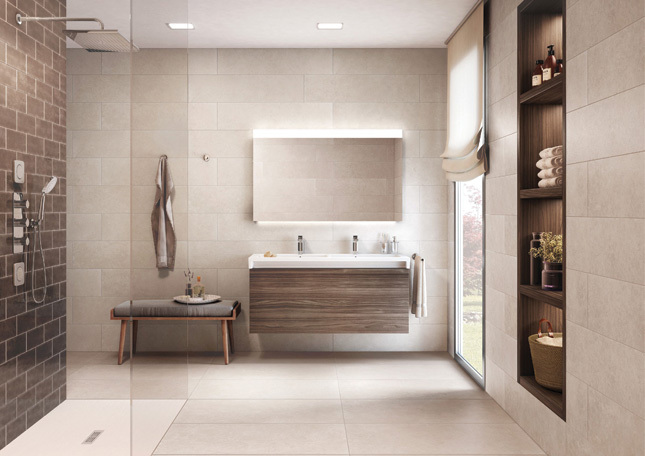 The Sensia Arena from Grohe, €3,123, Modernplant.ie is part of the Spalet range inspired by Japanese spa culture and designed for our 'evolved sense of self and body'. It features an array of adjustable shower spray options, from Lady to Oscillating, Massage to Rear at a pressure and temperature of your choosing. That clean feeling continues thanks to the toilet's innovative surface treatment that uses nano technology to prevent limescale sticking and attracting dirt and grime, while ions stop 99% of bacteria growth. After each use, it even cleans itself. Add in an air dryer and nightlight and it's easy to see the attraction. Select and store your preferences via the app, remote control or a seat panel, safe in the knowledge that you are doing your bit for the environment, too. 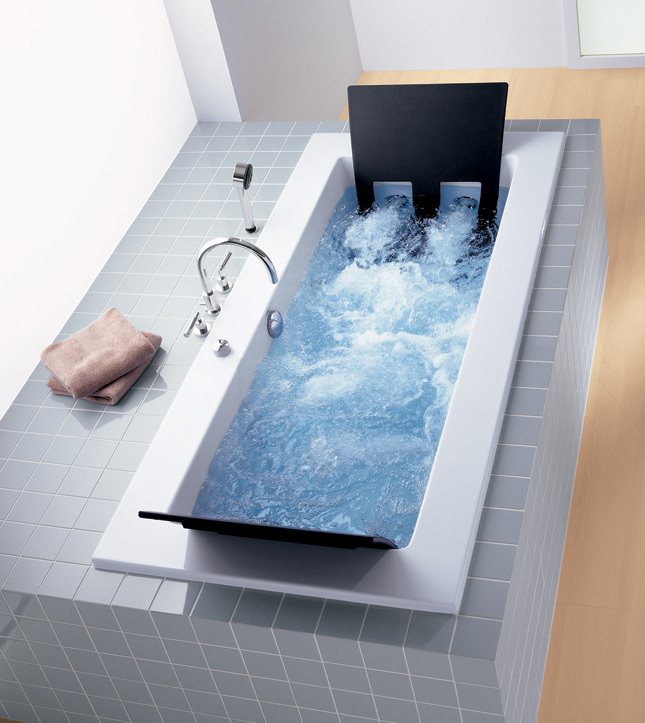 Merging smart features with spa style, the Zero bathtub from Hoesch, €3,800, (Tilestyle.ie) may convince you to abandon your devices altogether, especially as it has room for two. Designer Adolf Babel took an oriental approach to his freestanding creation which features adjustable back rests and LED lighting with a romantic colour option. Music is a must at this level of relaxation and the bluetooth interface will pair with up to eight devices, and if you weren't already frothing, simply flick on the the whirl system with its mixture of air, foot, back and whirl jets; one model has no less than 28 jets. Function follows form: this tub is seriously spacious at 1900mm by 900mm and the broad rim is perfect for fittings or a glass of bubbles. It comes in nine neutral tones, perfect for every scheme. At first glance, a mirror's technological possibilities may seem limited. Watch and learn. The new generation of smart mirrors will analyse your wrinkles, update you on pore size, report on dark circles and even offer skincare advice. If that's too much of an early morning downer, look for a model that puts a bit of pep in your step. Hib's Bluetooth integrated Connect 50 mirror, €495, (Tubstiles.ie) will sync to your Spotify account on your smartphone or internet radio station on your tablet, with a decent wireless stereo system to boot. It even has charging sockets with USB ports. The smart qualities don't end there: they have heated pads to clear condensation and a colour temperature change option creating warmer or cooler light. A sensor switch turns off the light and music with a wave of the hand. Surround sound is all well and good but what about room for shampoos, straighteners and serums? The Stratum-N Bluetooth connected unit from Roca has storage in abundance thanks to a choice of one or two deep-set, soft close drawers with organising sections to keep everything in its place. Beneath these are nestled integrated Bluetooth speakers that can project quality sound while you laze in the tub and catch up on your latest audio book. 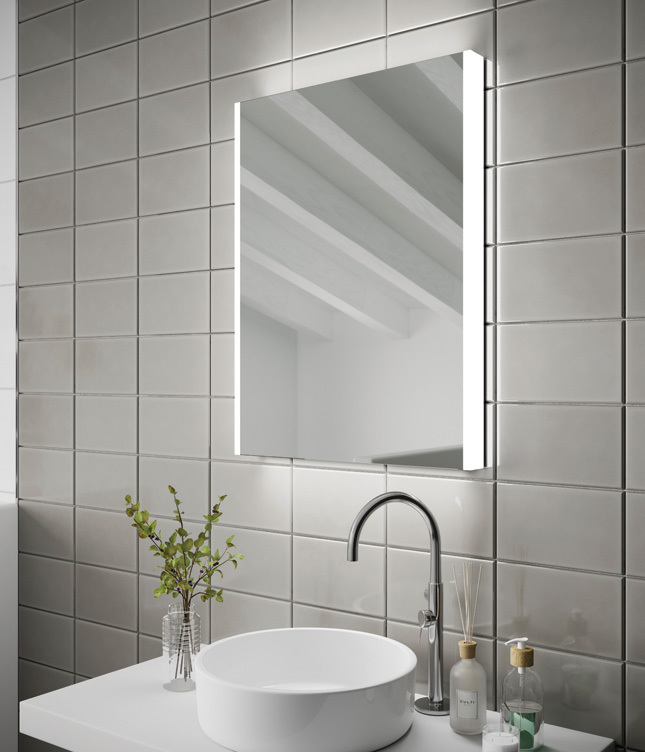 Available in two clever neutrals – Yosemite, pictured, and gloss white – it comes in a variety of styles, from wall-hung or vanity, with single or double basin. It also features internal LED lighting which can be activated at the touch of a button, and a reversible column unit is another option should you find yourself running out of space. 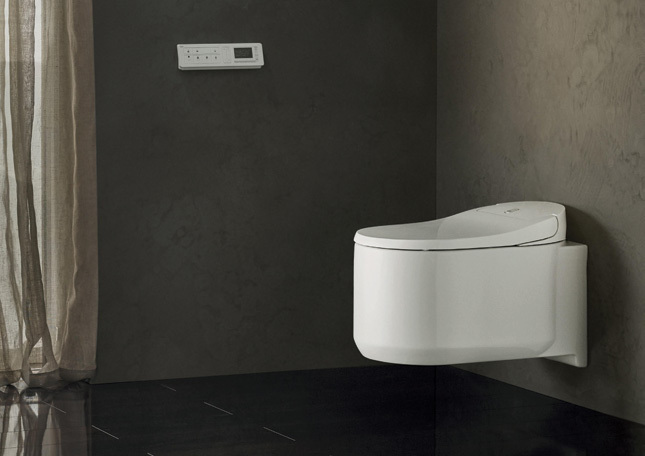 The Stratum-N Double basin and base unit is priced at €2,558.